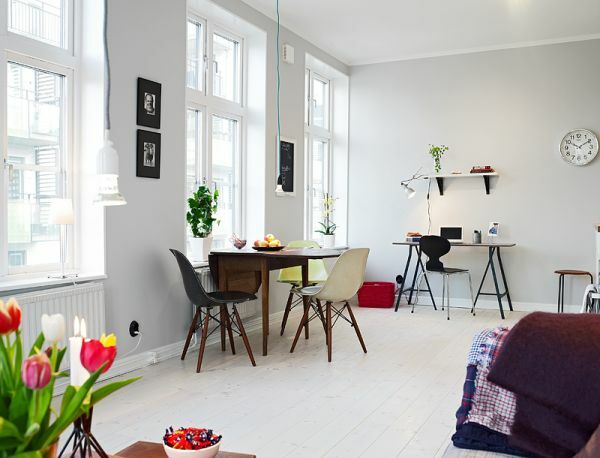 One-room apartments are very challenging in terms of interior design and décor. 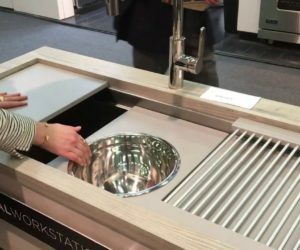 Because there’s such a tiny space to work with in the first place, the designer has to be ingenious and to find ways to save space without sacrificing the comfort of the owner. 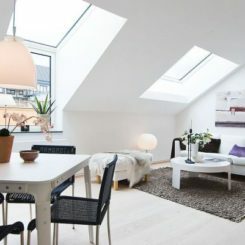 It’s why a Scandinavian interior is an excellent choice. 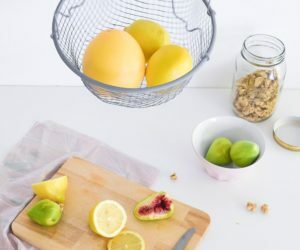 It’s simple and functional, exactly what the apartment needs. There are lots of examples we could show you but let’s start with this one. 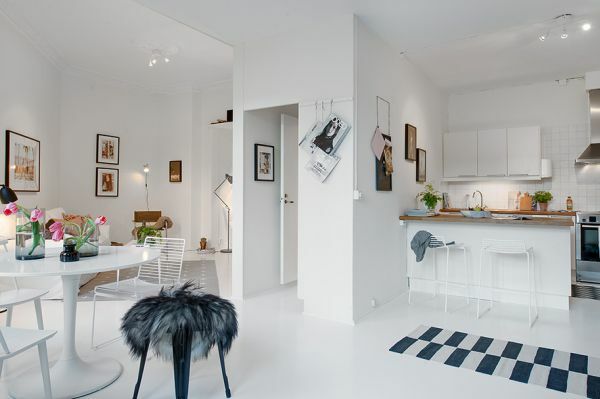 It’s an apartment situated in Stockholm. 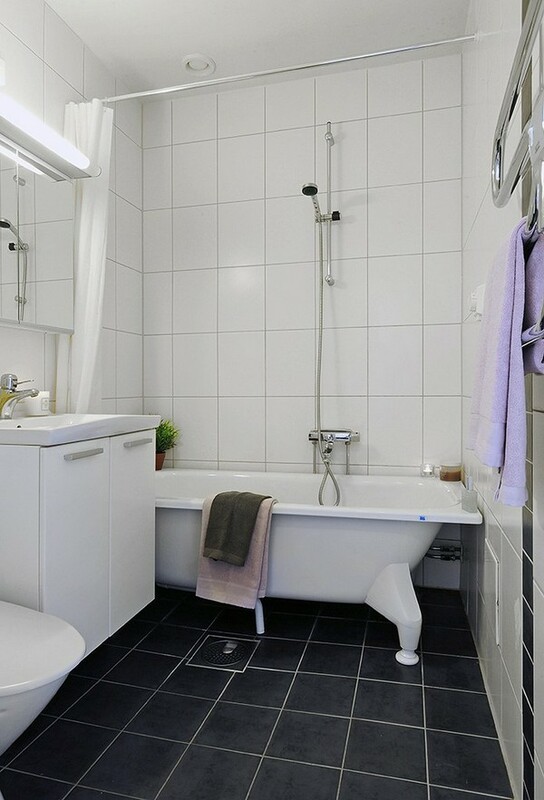 It has only one room but it incorporates all the functions usually found in a 2 or 3 room apartment. 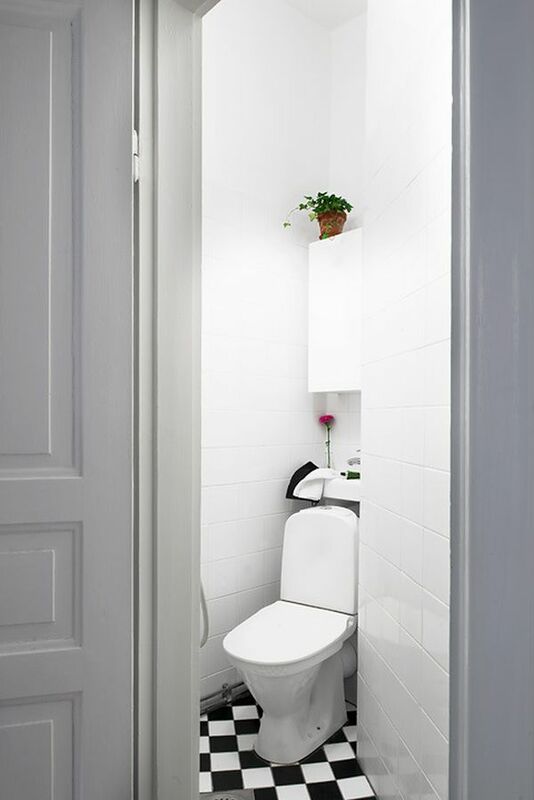 This all-in-one space features an open layout. 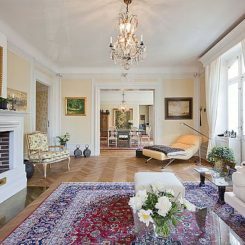 The main area is the living room. It has a nice sitting area with a sofa, a chair and a coffee table. Directly in front of it there’s a dining area with a small round table and 4 chairs. 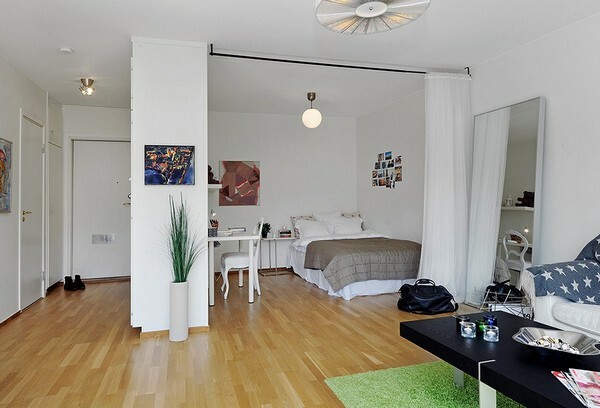 The bedroom is an area separated from the living room by curtains and the two spaces can become one if desired. There’s also a workspace here which includes a small desk and a chair. 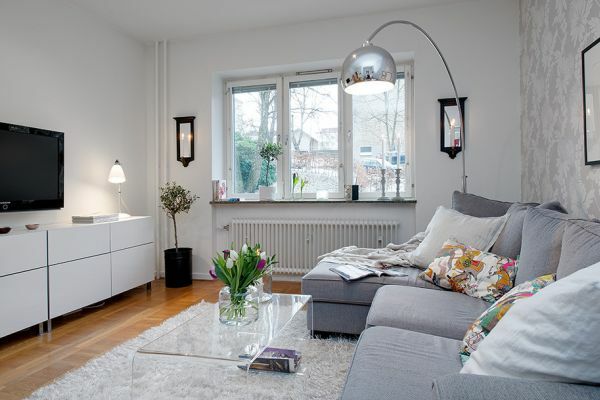 A large mirror resting on the living room wall creates depth and makes the room seem larger. The large windows provide plenty of natural light and unify the whole space. 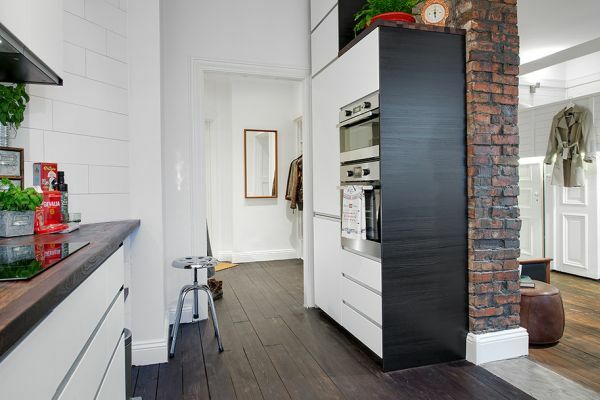 The kitchen is not a separate room but it’s hidden behind a partial wall. It’s rather small but, because it’s white, it doesn’t seem that tiny and cramped. 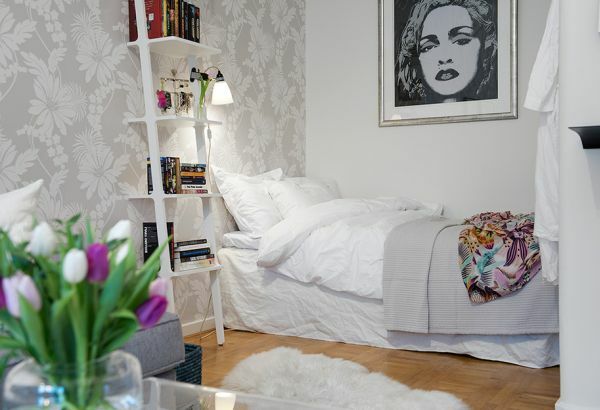 As you can see, you can have everything you need in a 1-room apartment and you don’t have to sacrifice style. Dividing an open layout into separate functions is a simple option but not the only one. 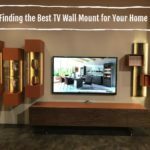 Instead of trying to fit everything on the floor space you have available, you can also think vertically and on different levels. 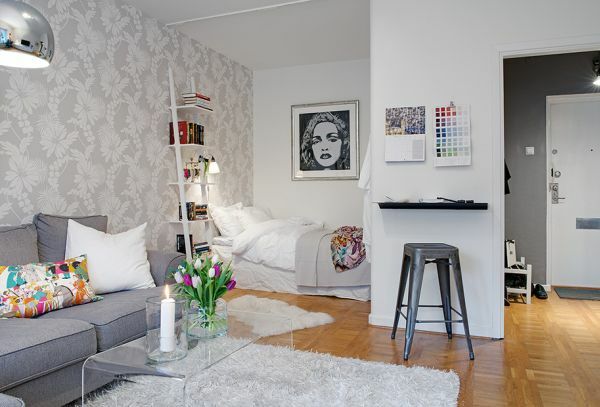 For example, this small apartment features a very clever interior design. 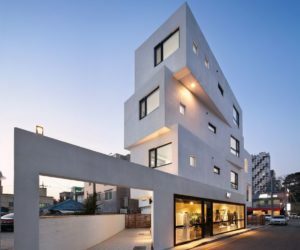 It only has one room and it’s not a very large one either so it would have been very difficult to divide it like in the case of the previous apartment we’ve discussed. 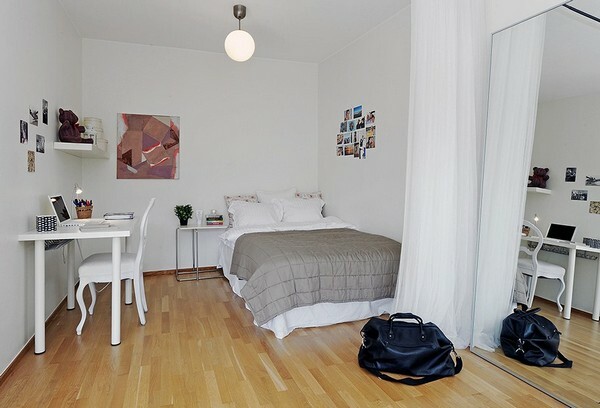 There’s this suspended bed which would otherwise be a bedroom if there was enough room for one, next to it there’s a dining area with a small table and some chairs and there’s also a sofa and a coffee table. 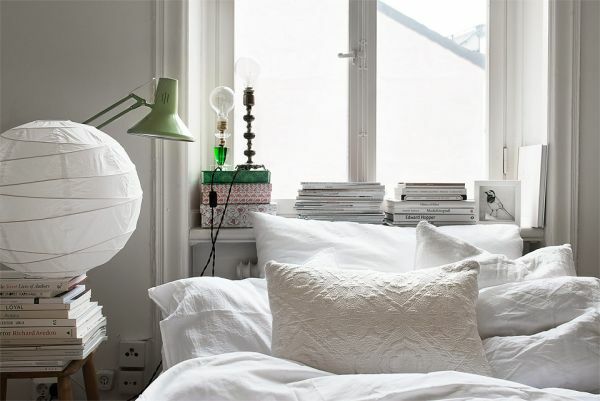 Under the bed there’s a chair and a lamp so we can assume that this serves as a reading corner. 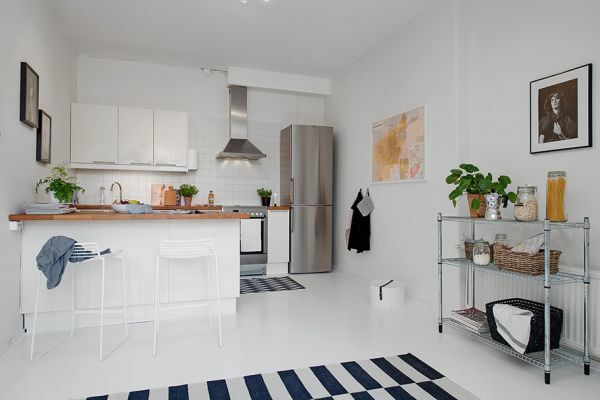 Let’s now take a look at this apartment which has a total surface of 27 square meters, not nearly enough if you want to have a living room, a bedroom and a dining room. But, as you’ll see, this place has it all. As you enter, there’s a hallway. The apartment has underfloor heating so no space is wasted with radiators. 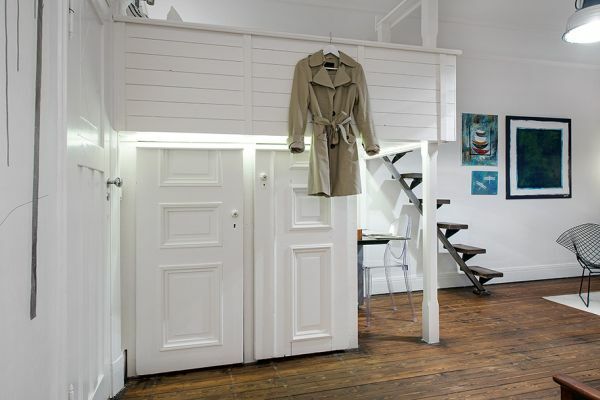 A small walk-in closet provides plenty of storage for coats and other things. 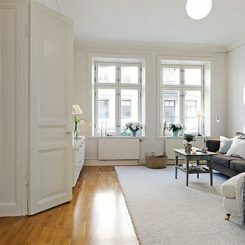 The living room has wooden flooring, large windows and two large closets. 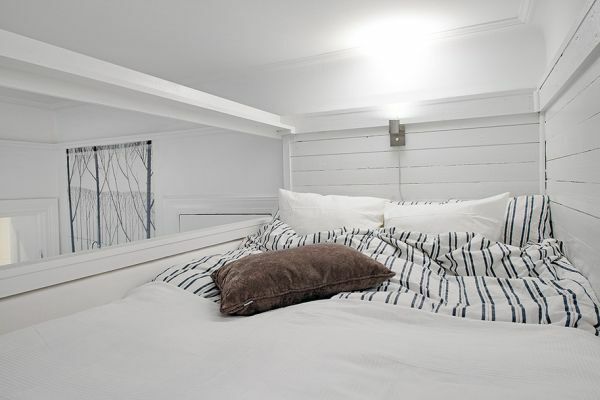 The bed has built-in storage as well so there’s no problem related to this aspect. 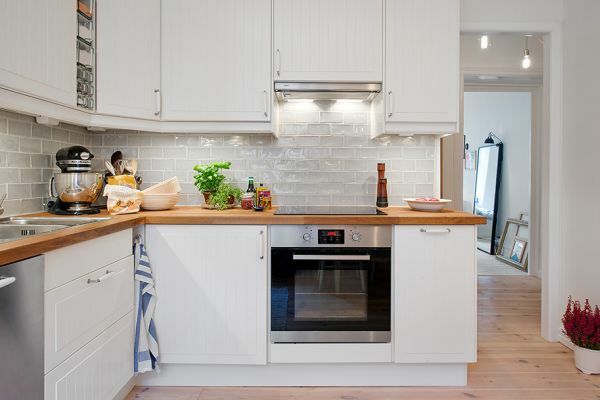 There’s a kitchen and dining area with oak cabinets and white floors and it’s a fully equipped area. 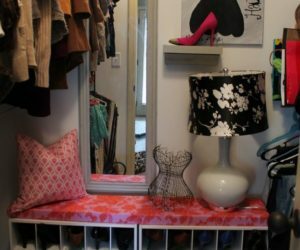 The apartment also has a basement which serves as a storage room. So, as you can see, the apartment is not as tiny as you might think. 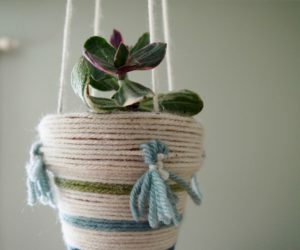 It may be small but it’s inviting and has a very functional interior design. 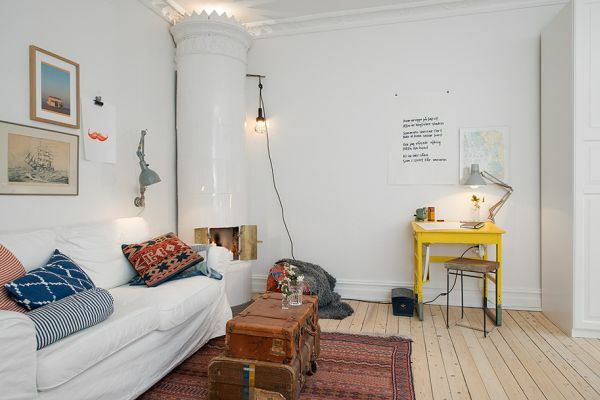 The Nordic décor definitely helps. 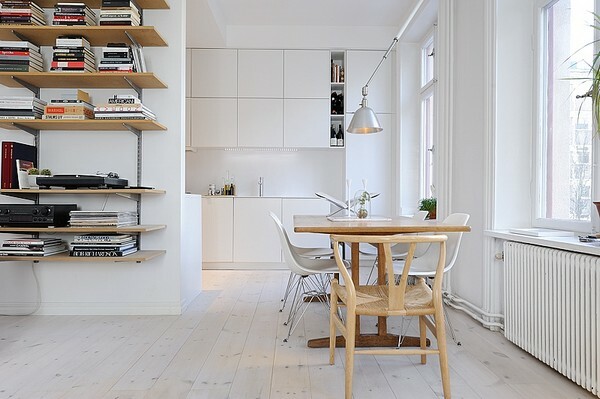 The simplicity complements the very basic nature of the apartment. 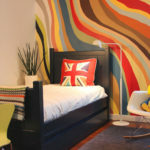 This and the fact that the apartment is very well organized make this place a very nice home for a single person. 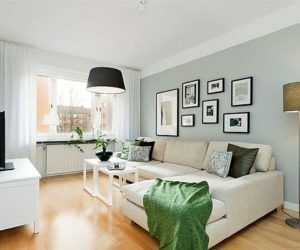 Let us continue with another small but beautiful apartment. 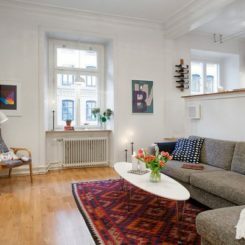 This one can be found in Gothenburg and it has, as expected a very clean and soothing interior. 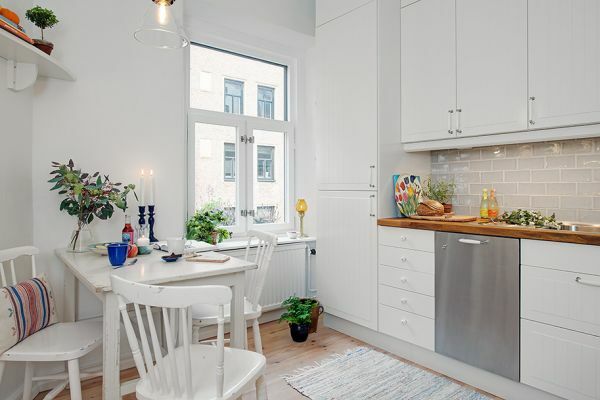 It has a single room plus the kitchen and it has a very simple interior design with a limited color palette mainly based on shades of white and brown. 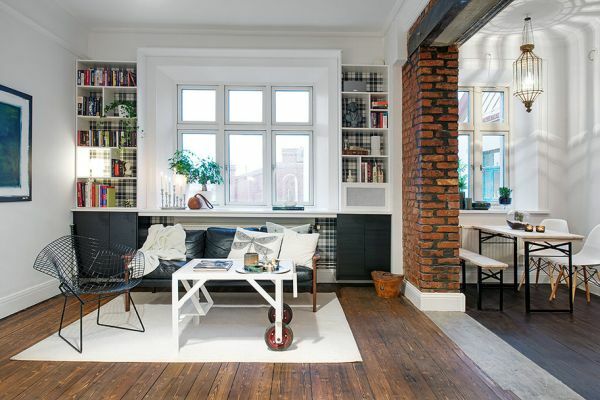 There’s also a nice vintage vibe to this space. 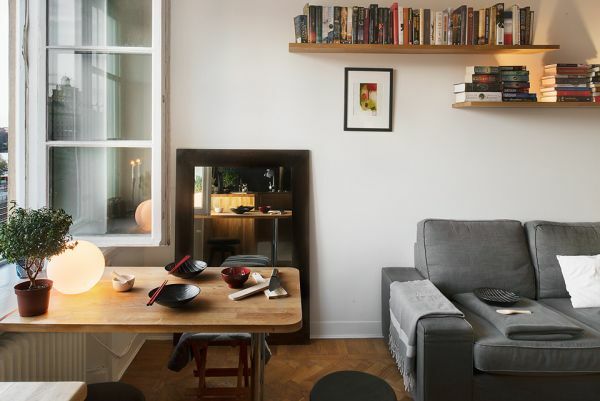 The apartment has a total surface of 36 square meters and, although it’s small, it’s layout is beautifully adapted to suit the needs of a couple. 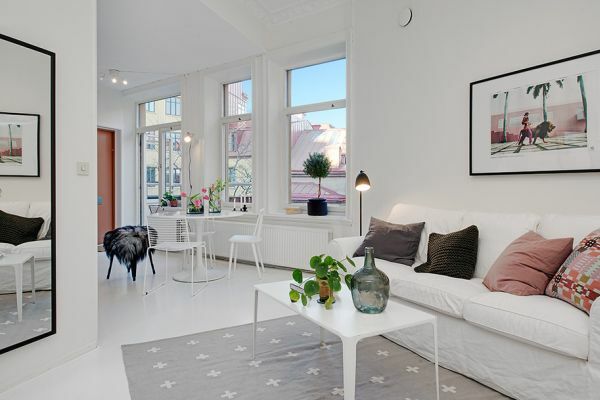 The high ceilings make the apartment seem bigger and the white walls emphasize the openness of the space. 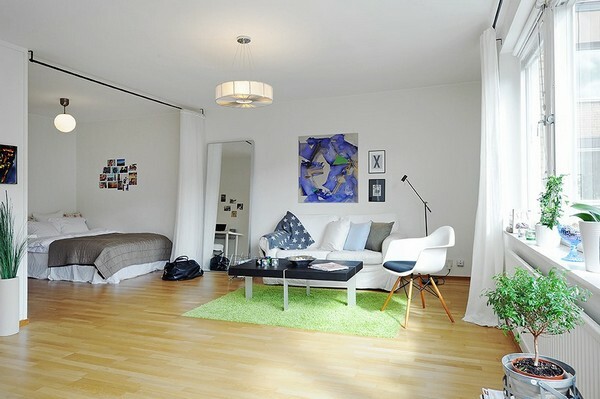 The main area is the living room which is also the bedroom. 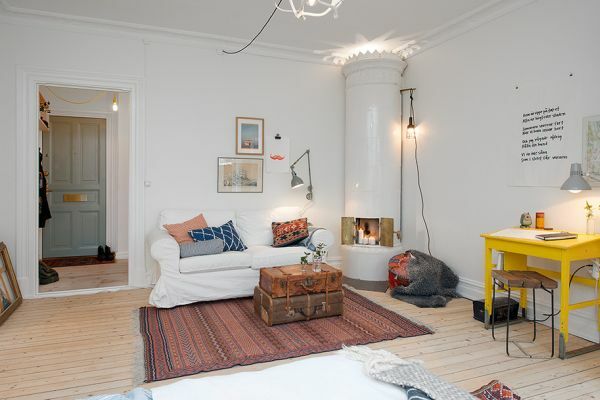 A traditional Scandinavian fireplace sits in the corner and next to it a white sofa. Two vintage suitcases placed one on top of another form the coffee table. 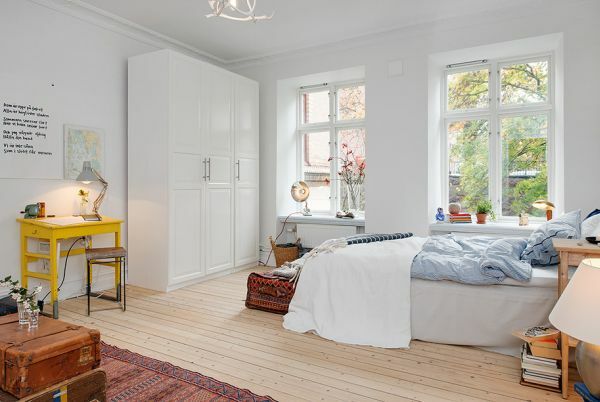 The bed is next to the window and it has a small nightstand next to it. The kitchen and dining area form a separate volume. 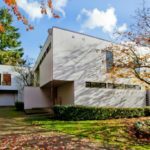 It’s an almost square space, not particularly large but open and spacious-looking. 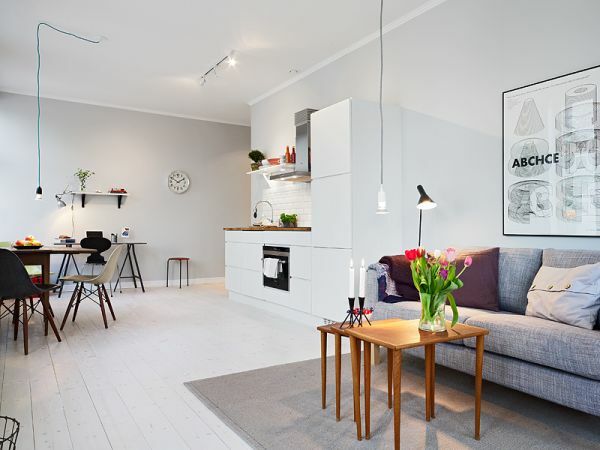 Next on out list is this apartment is Stockholm. 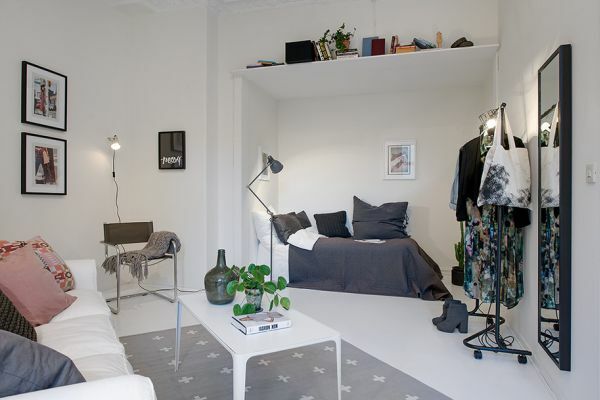 It has a total surface of 39 square meters which is not too bad for a one-room apartment. 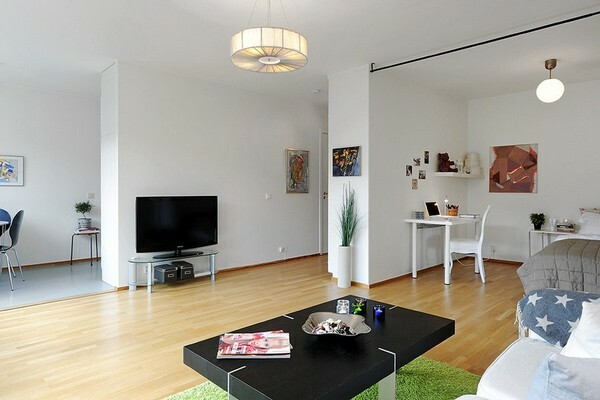 Like in the case of all the other apartments presented here, the bedroom and the living room for the same volume. 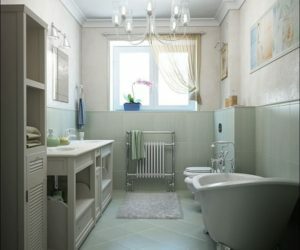 The entrance features a small hall connected to the bathroom and the kitchen. 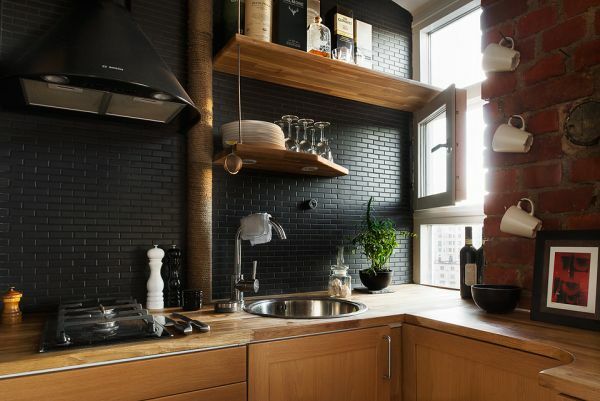 The kitchen is a semi-open space and a partial wall separates it from the living area. The living room has large windows and an interesting design. The bed/bedroom fit perfectly on one side of the room and floor-to-ceiling vertical blinds hide it thus offering privacy and allowing the rest of the volume to look just like a regular living room. 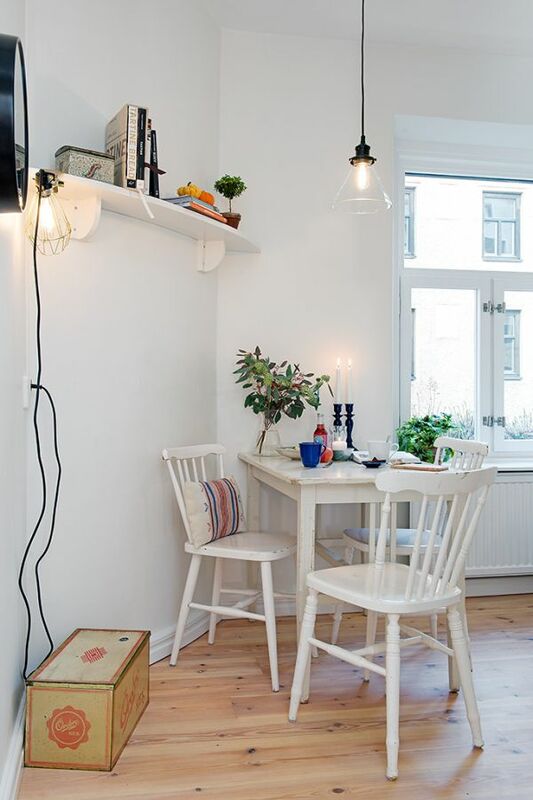 The dining area is somewhere in between the living room and the kitchen and it eases the transition. 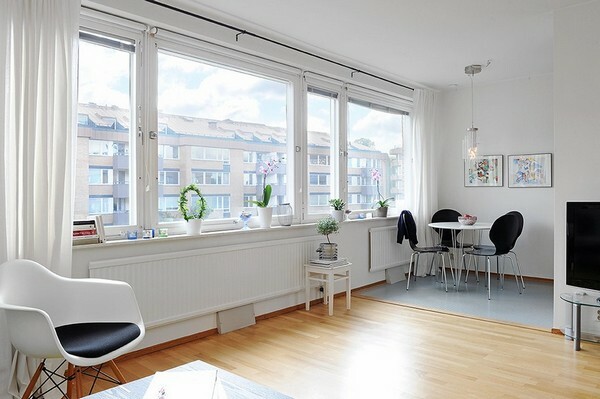 The apartment is very bright and open. 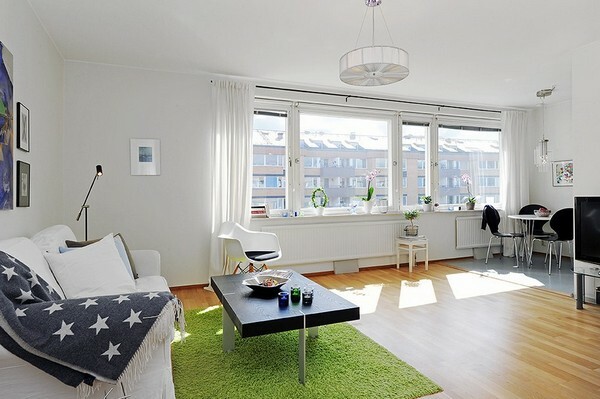 It has white walls throughout and the floors feature a very light shade as well. 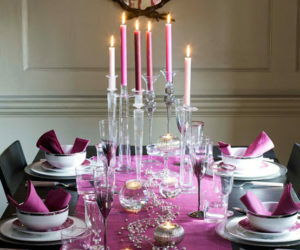 The décor is modern, minimalist and inviting, despite the lack of color. 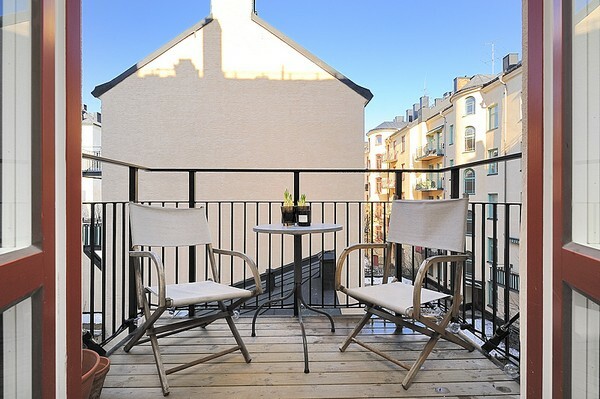 In addition, the apartment also has a small balcony where a tiny table and two chairs fit comfortably. 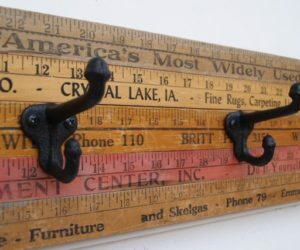 It’s a very clever place when you add all the details. 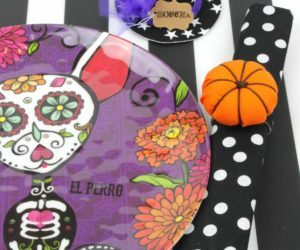 Mixing styles is not that difficult. 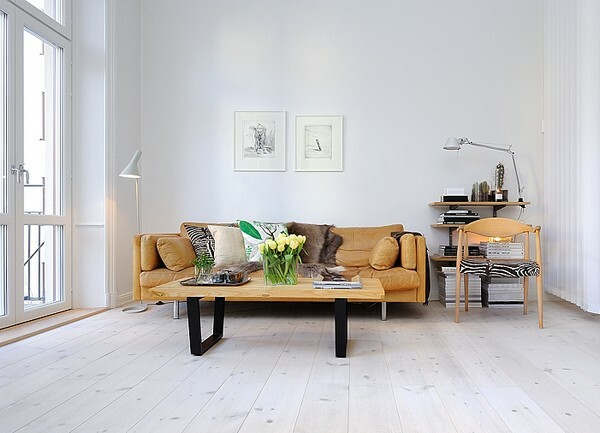 A Scandinavian-inspired interior décor often looks beautiful in combination with a few vintage or rustic elements. It’s for this reason that we like this apartment. 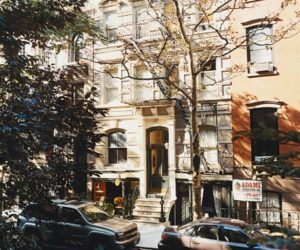 It’s a one-room apartment with lots of character. 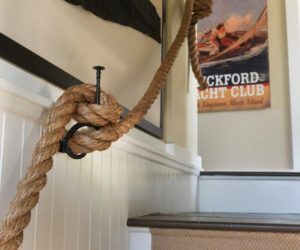 The interior design is a combination of modern and rustic elements. 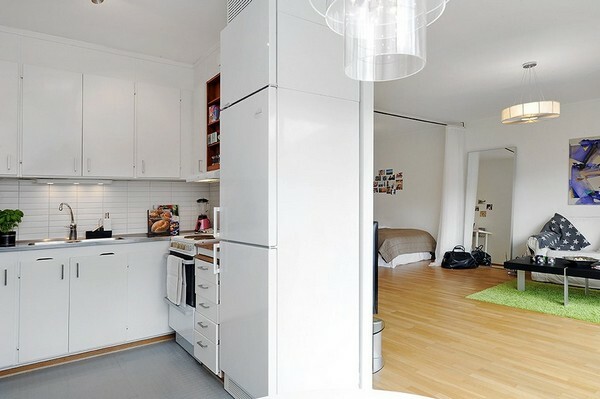 The apartment has an open layout with the kitchen being part of the living area. The two functions seem to have been separated at one point but the wall was removed and now there are only traces of it. The brickwork is definitely an interesting detail. 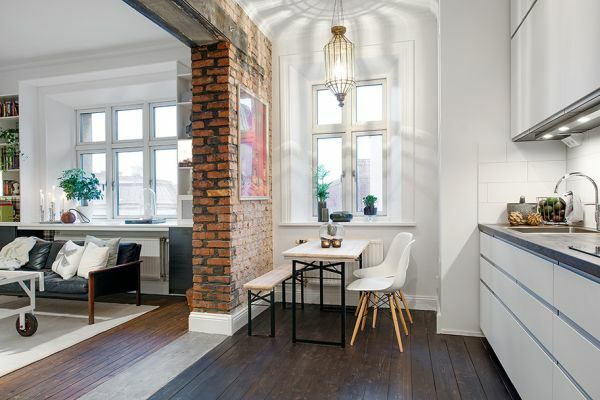 The exposed bricks in combination with the wood create a warm and inviting atmosphere. 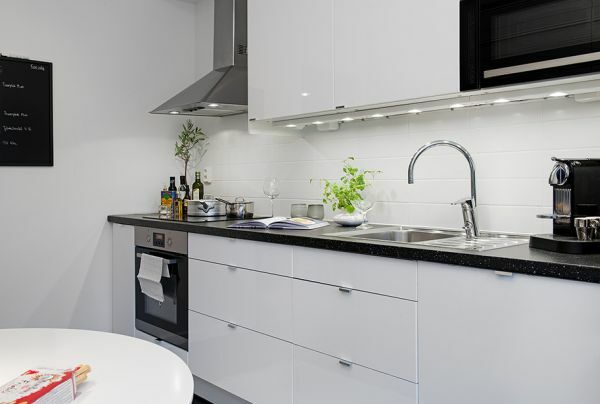 The kitchen has a modern design and a strong visual contrast is created because of that. 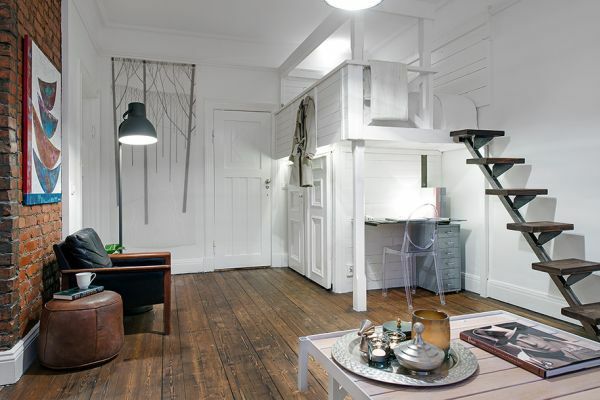 The living room also includes a sleeping area which has been raised off the ground and can be accessed via a staircase. 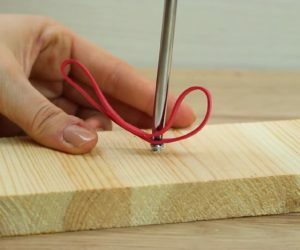 It’s a very clever solution in this case. Under the sleeping area there’s enough room for storage and even for a workstation. 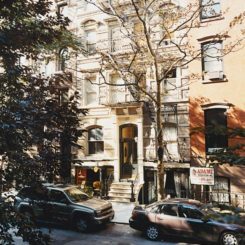 Let’s now take a look at this unusual apartment. Located in Gothenburg, this place has a very interesting shape and layout. It’s an open plan apartment and there’s only one room and the kitchen. Interestingly enough, the kitchen area seems to be the larger one. 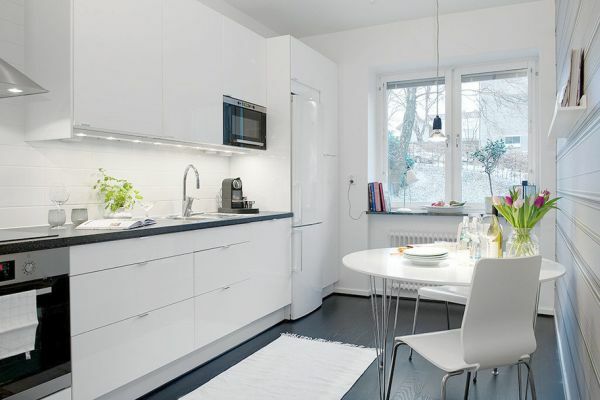 It’s a bright and open space which also includes a dining area. It’s the first thing you see when you enter the apartment. The living area has an unusual shape. It also includes the sleeping zone, since there’s no separate bedroom in the apartment. 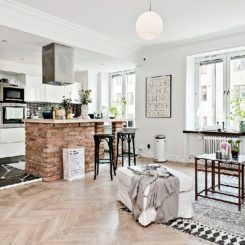 Overall, the interior design is casual and simple and, although the shape of the apartment is unconventional, the layout is functional and practical.The walls, the ceilings and the floors are white throughout. 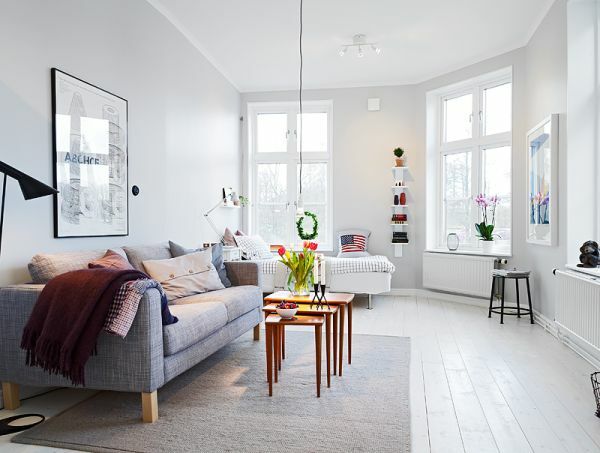 Gray is the accent color and there are also some small additions of pastel shades. The apartment we’re analyzing is very bright and open. 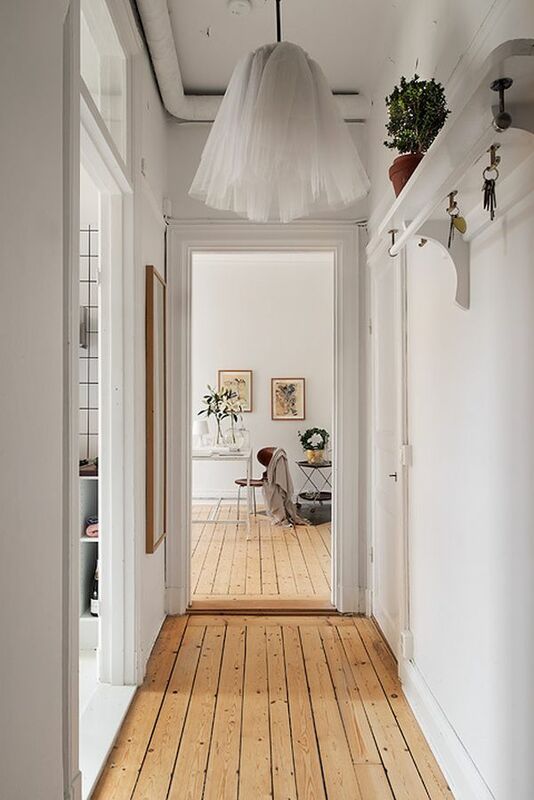 It has white walls, ceiling and wooden floors in a very light shade. As you can see, there’s only one room here. 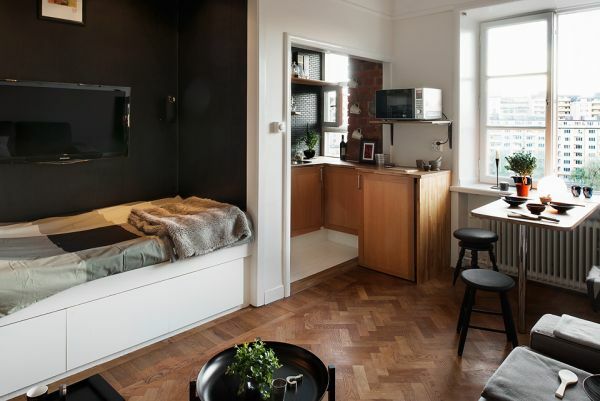 It serves as a bedroom and a living room. 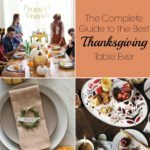 Also, the kitchen and the dining area part of the same volume. But the space is far from being cramped and unpractical. Although all the functions share the same space, they are nicely delimited. The kitchen and the dining area form one zone and the living room and sleeping area another. 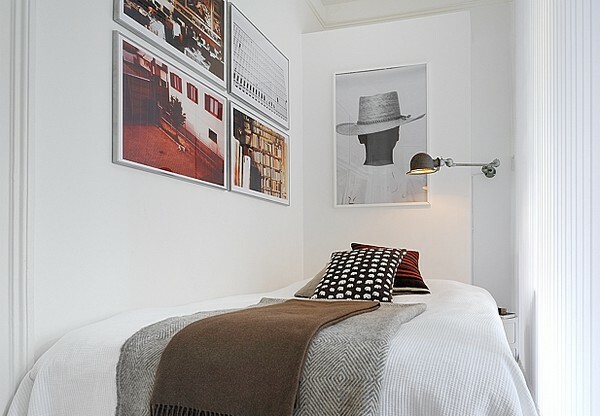 The bed is placed right next to the window to save space and the sofa is the main furniture piece in the room. 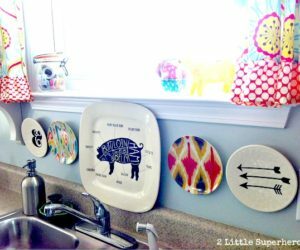 In the area where the kitchen is there’s also a workstation. 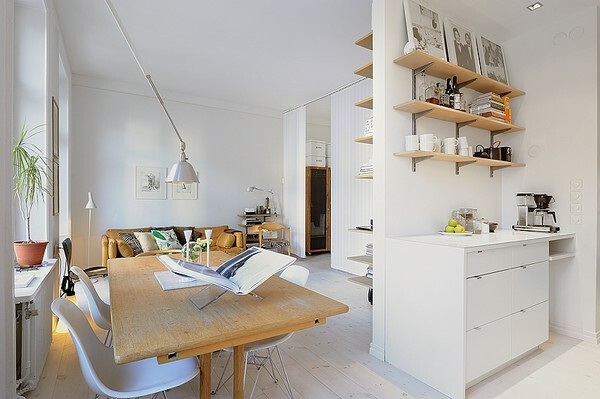 This apartment seems to have lots of different things all in the same place but everything is wonderfully organized. 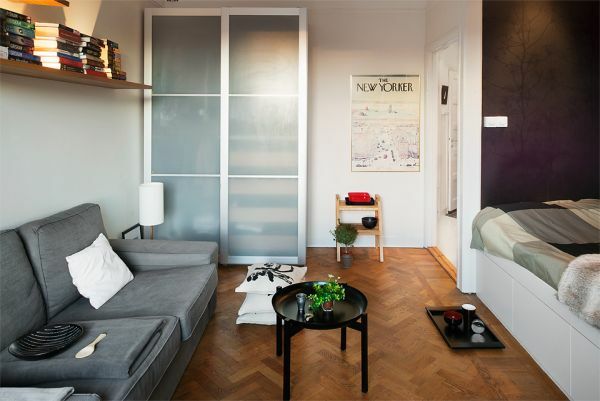 The last apartment we’re going to talk about here measures a total of 38 square meters. 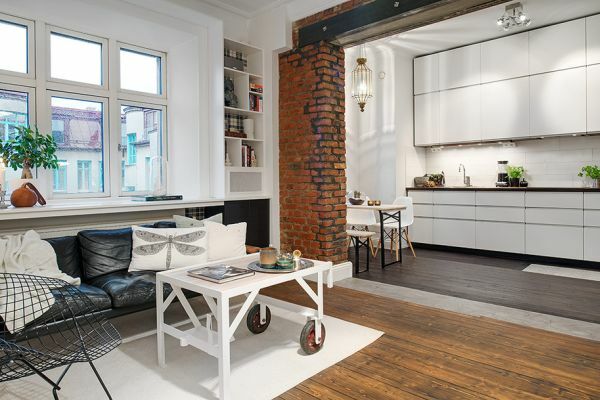 It’s situated in a building that dates back to the 40s but it’s been renovated and now it looks modern and inviting. 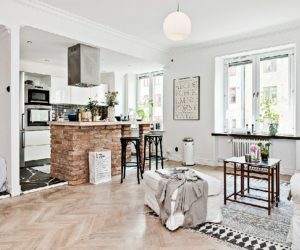 It features a Scandinavian interior design, with white walls throughout and a color palette limited to the shades of gray and the color of the wooden floors. 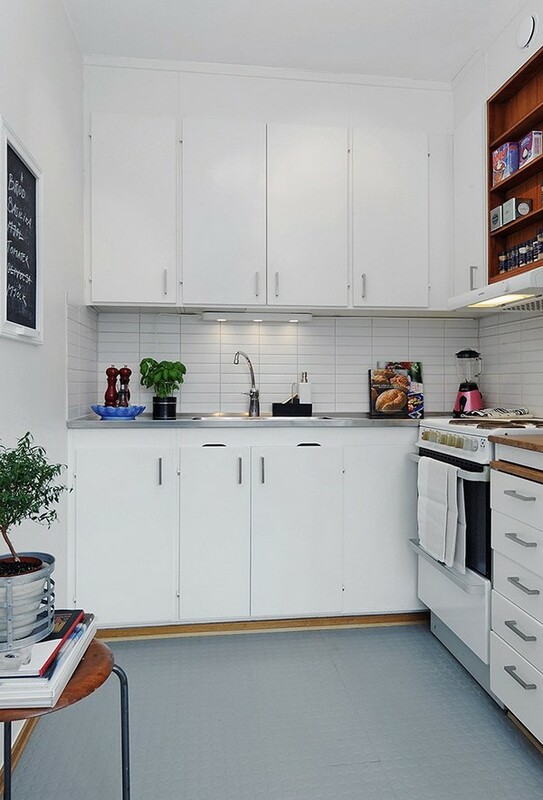 The kitchen is a separate space and it includes a small dining space. 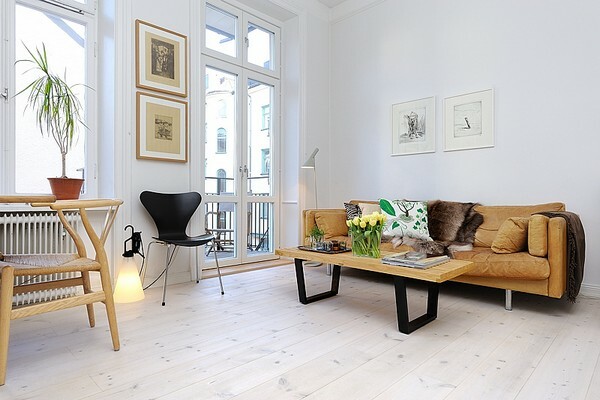 It has a black floor and white furniture so there’s an elegant contrast here as well. Although the bedroom is part of an open plan and is not a separate room, it’s situated somewhere in a corner and it’s a rather private space. The rest of the room is the living area. 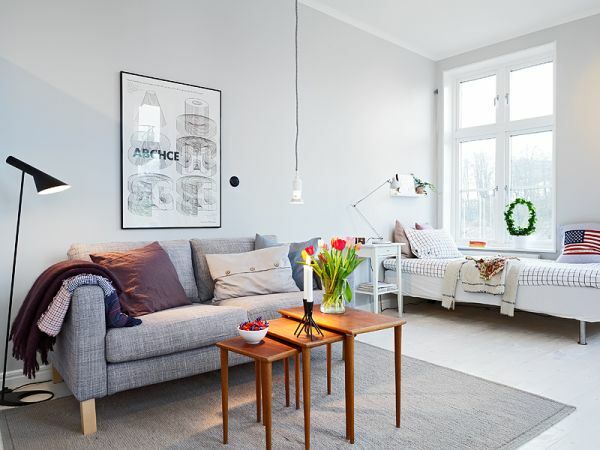 A large sofa occupies most of the space and an oversized floor lamp sits nicely in the corner.Although the whole décor is very simple, the atmosphere here is cozy and inviting. It’s because of the textures and accent elements. 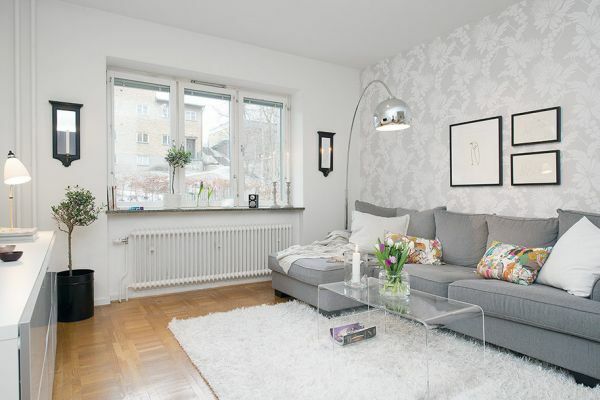 In the living room, for example, the wallpapered wall is a very nice feature and so is that area rug. 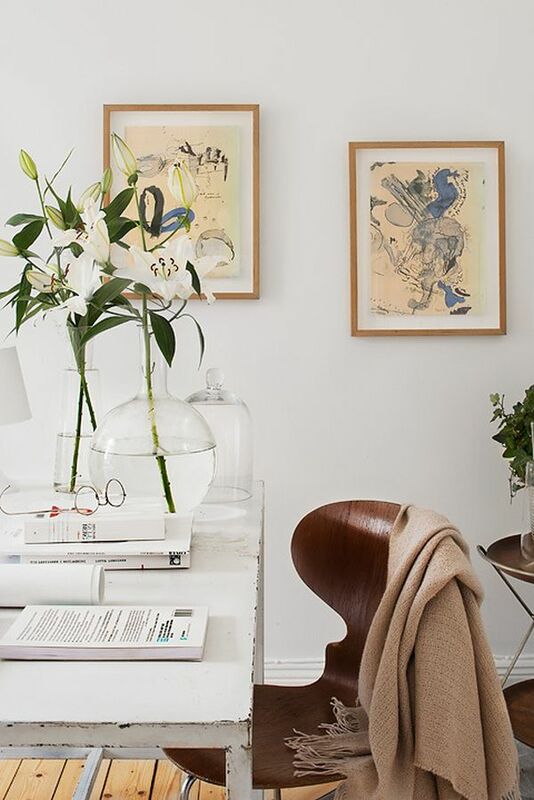 White is a great main color in interior design because it can be paired with any other shade and it will still look fresh. 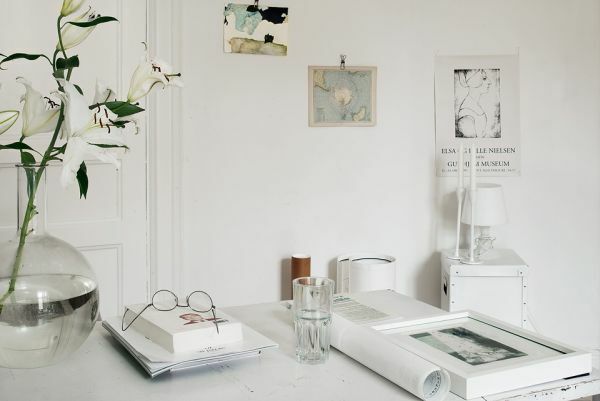 But when you decide that white is going to be basically the only color in the house there’s the risk of making the rooms seem cold and uninviting. 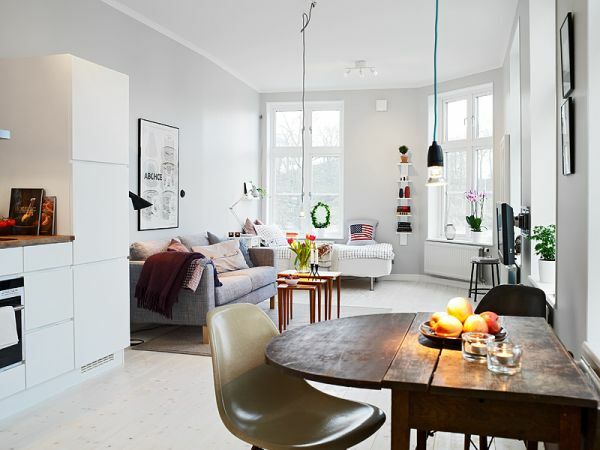 Still, it’s not always the case, as this lovely Nordic home shown us. This is an almost entirely white house. 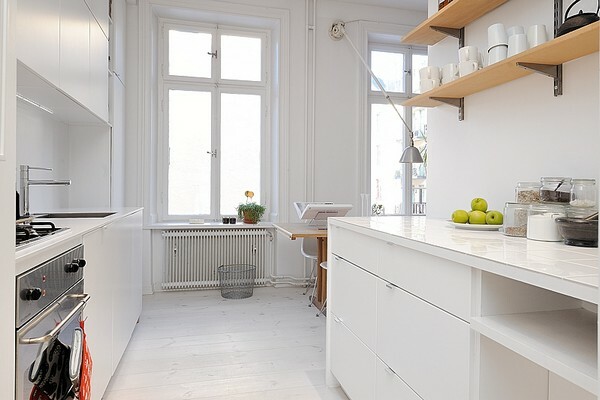 The walls are white throughout, even in the kitchen. 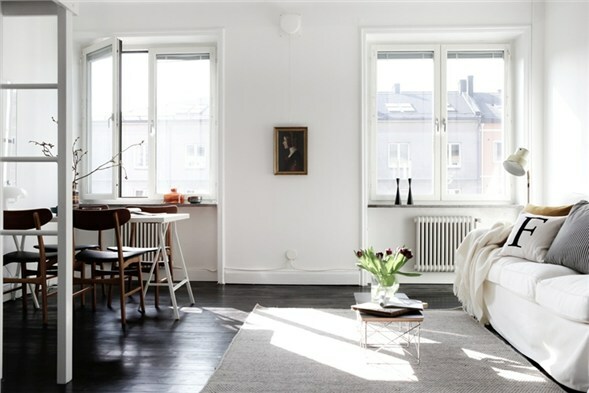 The wooden floors create a little bit of contrast in the living room and bedroom. 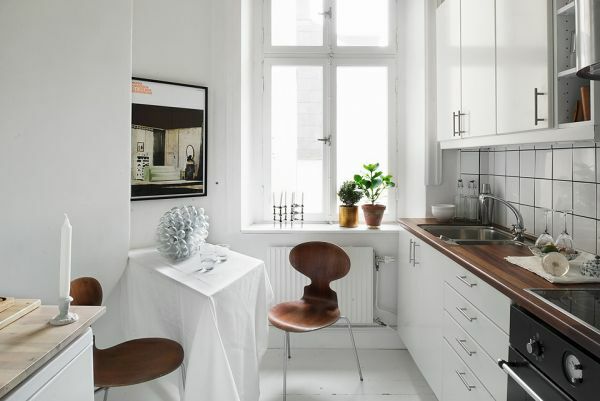 The kitchen floor is also white but there are some brown accents here in the form of dining chairs and countertops.